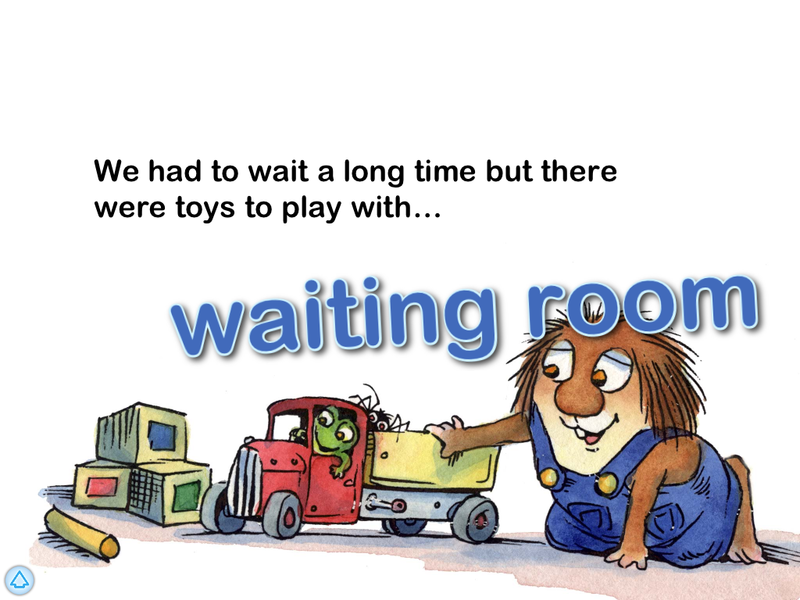 Oceanhouse Media has just published another omBook starring Little Critter called Just Going To the Dentist. For those unfamiliar, Little Critter is a series of stories written by Mercer Mayer about Little Critter’s childhood. Little Critter is a hamster character who is full of imagination, love, and of course mischief! Little Critter is a great series as children can easily identify with his adventures and emotions and also helps teachers, parents, and kids themselves be aware of emotions and how to deal with those situations. In Just Going to the Dentist, Little Critter has a dentist appointment, and discovers that the dentist is not as bad as he thought it would be as it was running through his mind. Although the book presents dentistry, for the most part, in a positive, non-scary light for the young child, it is definitely not my favorite of Little Critter books. It talks about cavities and shots in the dentist chair. And I couldn’t imagine showing this to preschoolers who probably have yet to visit the dentist more than once if at all. A cute mini-game is found within the app where you find the frog and the spider on each page. At the end of the book, the story calculates the total number of frogs and spiders the reader found within the book. Oceanhouse Media does a great job at combining the original text and artwork of Mercer Mayer, yet providing extras, such as touching a picture to hear and see what that picture is of. You also can replay an entire paragraph if interested. The highlighted words feature is great for early readers. Little Critter is off to the dentist’s office. He gets a thorough checkup and cleaning, complete with dental x-rays. When Dr. Ghum finds a cavity, Little Critter bravely gets a filling. The visit is painless and Little Critter’s good nature reassures young readers that going to the dentist is not that bad after all!